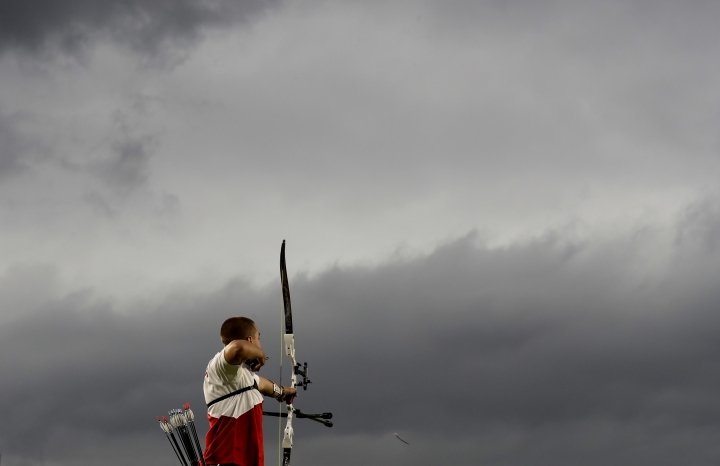 RIO DE JANEIRO — Part entrepreneur and part elite competitor, Zach Garrett dedicates his life completely to archery. Business will have to wait for now while he's at the Summer Olympics. 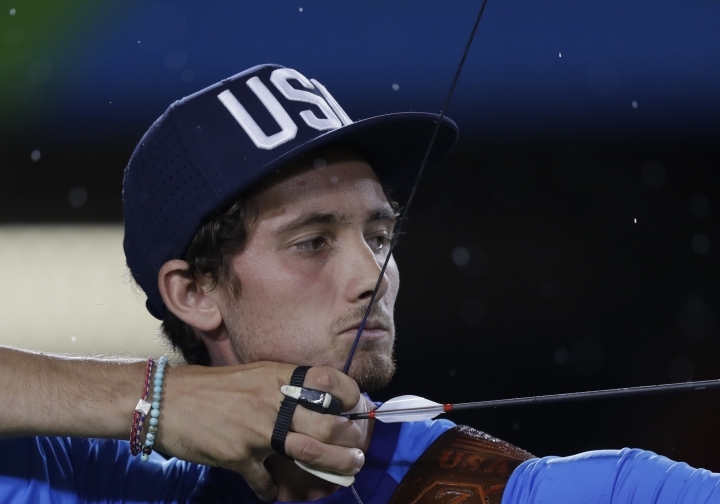 The 15th-seeded Garrett, ranked third in the world, won his first two matches in the men's archery tournament in Rio de Janeiro on Wednesday, averting upsets that had knocked out other high-profile players. The seeds, for the most part, held form as the opening rounds wrapped up, though there were a few big exceptions. In the women's tournament, ninth-seeded Lin Shih-Chia of Taiwan lost to Bombayla Devi Laishram of India. In the men's draw third-seeded David Pasqualucci of Italy lost to Spain's Antonio Fernandez in the round of 16. 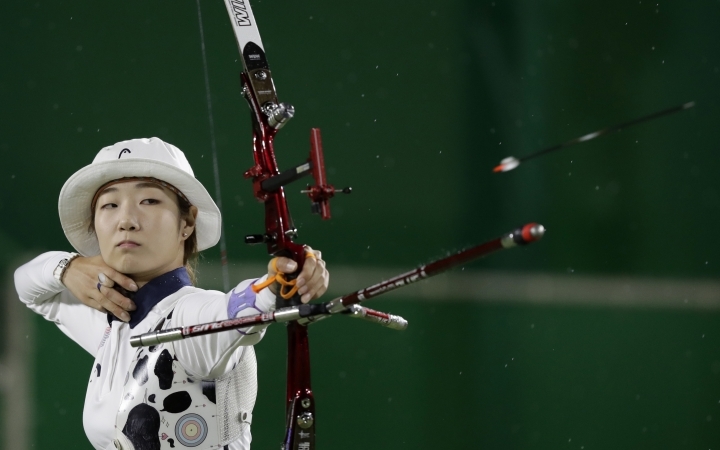 Top-seeded Kim Woo-jin of South Korea lost Monday, leaving American Brady Ellison as the highest-ranking seed at No. 2. Guess who's up next for Ellison? It's Garrett in the round of 8 on Friday. "I'm very excited that one of us is definitely going into the next round, that's the best thing," the diplomatic Garrett said on a rainy evening in Rio. The bracket, in fact, had Ellison needing to defeat another U.S. teammate, Jake Kaminski, in the second round. That was tough enough as it was for Team USA, since Ellison and Kaminski are also best friends. Ellison lent Garrett some advice before the 21-year-old took the field before his first-ever matches in the Olympics. "We're fostering our professional relationship. It's all that and at the same time, just wanting to beat each other," Garrett said. "Everyone wants a medal, but not everyone gets the win, it's just the way it is." Ellison, the No. 2 seed in the Olympics, is ranked sixth in the world. Garrett is seeded 15th at the games, and ranked third in the world. They'll keep talking on Friday, though. "I mean, whoever wins, wins," Garrett said. 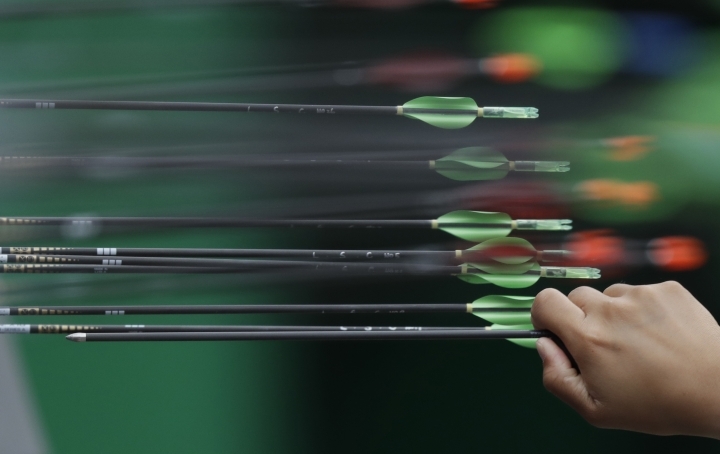 "It's archery; it's not life and death." That's a pretty mature perspective for someone who just competing internationally two years ago. He's also a partner in a business, Ramrods, that makes stabilizers for archers. Garrett is heavily involved in the design end of the company. When he's not shooting, that is. Lately, Garrett has been hitting the practice field starting at 9 a.m. for three hours. Then comes lunch, followed by another four hours of practice; then dinner and at least another three hours with the bow and arrow. "I've definitely been talking a lot more late nights leading up to the Olympics," he said. "If I get beat by somebody, I want it to be ... because they beat me. I don't ever want to feel like I didn't prepare." Also on Wednesday at the Sambodromo, South Korean Ku Bon-chan, the sixth seed in the men's draw, swept both of his first matches to advance. He said that he put a little more pressure on himself after his teammate and medal favorite, Kim, lost, but he wasn't sweating it, either. "Every match is happy because it's the Olympic games," he said. The top seed in the women's draw, Choi Mi-sun of South Korea, also advanced.